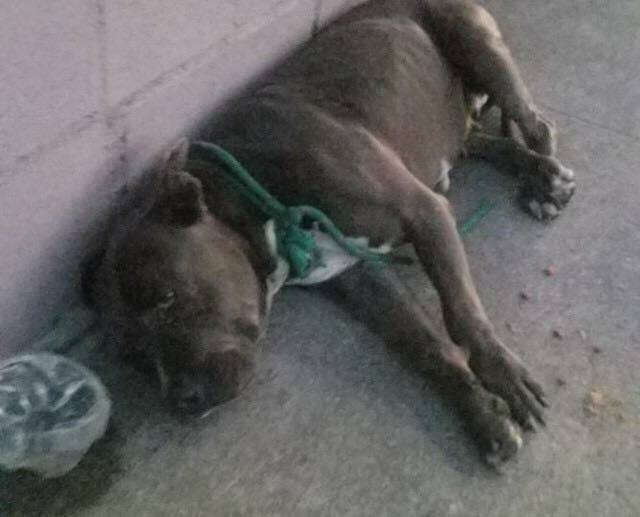 On Aug. 6, a Los Angeles resident contacted the nonprofit group Ghetto Rescue Foundation (GRFF) in Orange County about a charcoal-gray pit bull found apparently near death on a neighborhood sidewalk. A rescuer from the organization rushed to the area and sped with her to a veterinarian. A vet tech suggested that the dog might have been sexually abused and also experienced blunt-force trauma. The rescuers named the dog Cargo, for Precious Cargo. Cargo recovered briefly at the vet’s. She got up and wagged her tail. Shortly after, she fell over, dead. GRFF learned through Cargo’s chip that she had been adopted on July 23 from Orange County Animal Care (OCAC), during a free adoption event. The shelter had listed her name as Valerie—she was 5 years old and had been at OCAC for three months. Details of the story were a tangled web, and it was difficult to determine fact from fabrication. There were conflicting witness accounts of how the dog wound up on a South L.A. sidewalk after having been adopted from a shelter in Tustin. The adopter on record was first reported as not able to be contacted; later, when contact was made, the adopter said that Valerie/Cargo had been placed in a temporary home while he got his life in order. Or her life—gender identifiers also varied. Furthermore, both the veterinarian at the clinic and the forensic vet who later examined Valerie’s body concluded that there was no evidence of either sexual abuse or blunt-force trauma and that tissue samples were pending to determine cause of death. An investigation into the tragedy by the Los Angeles Animal Cruelty Task Force (ACTF) is ongoing as of this writing, according to lead detective Al Erkelens. TV and print media reported on the tragedy, and the animal-advocacy community exploded online for Valerie/Cargo’s sake. Blame was placed on free adoption events, although there’s no evidence of a connection to tragic outcomes like this one. There’s only one indisputable detail: a beautiful, young dog who was happy and healthy when she left the shelter senselessly and cruelly lost her life, and one or more people who should never have adopted a pet in the first place are responsible. The good news is that it looks like that’s going to happen. Mike Kaviani, the new director at OCAC, is in the process of developing a Do Not Adopt registry that will be an aggregate of shared information from other shelters throughout Southern California. Kaviani plans to pair the database with shelter best practices. In 2016, the OC Board of Supervisors contracted with JVR Shelter Strategies, the same firm that conducted ACS’s audit released earlier this year, to make recommendations for improvements to the county shelter. Kaviani was impressed with the findings and said that they aligned with his views and priorities. During a peaceful protest at the shelter, organized by GRFF, Kaviani spoke for about a half-hour and answered questions from the participants. New OCAC director Mike Kaviani, pictured here socializing with pal Lydia, brings innovative experience for changing shelter culture. Photo courtesy of OCAC. He and his staff, with support from the Orange County Board of Supervisors, are in the process of gathering directors from shelters throughout Southern California to follow through with the plan of merging their lists of individuals barred from adopting animals because of animal-cruelty convictions and safety concerns. Ted Stevens, manager of Long Beach Animal Care Services (ACS), is looking forward to the city’s shelter being part of the registry. Stevens cautioned that anyone can obtain an animal for free on Craigslist or other social media, or from a neighbor but added that the Do Not Adopt registry will be a useful tool to keep animals out of the wrong hands. Emily Ann Ghosh, founder of Long Beach Animal Advocates and the den-mother-in-chief for Live Love Animal Rescue, regularly pulls dogs with behavioral issues from ACS and finds others in the streets in worse condition. She’s seen consequences of cruelty firsthand and hopes that the Do Not Adopt registry can extend to rescues as well. Kaviani said that he couldn’t see any reason why this couldn’t happen but restated that all additions to the registry would have to be verified cases of neglect or cruelty. “We don’t want humans who are well available to educate to be placed in the registry,” he said. 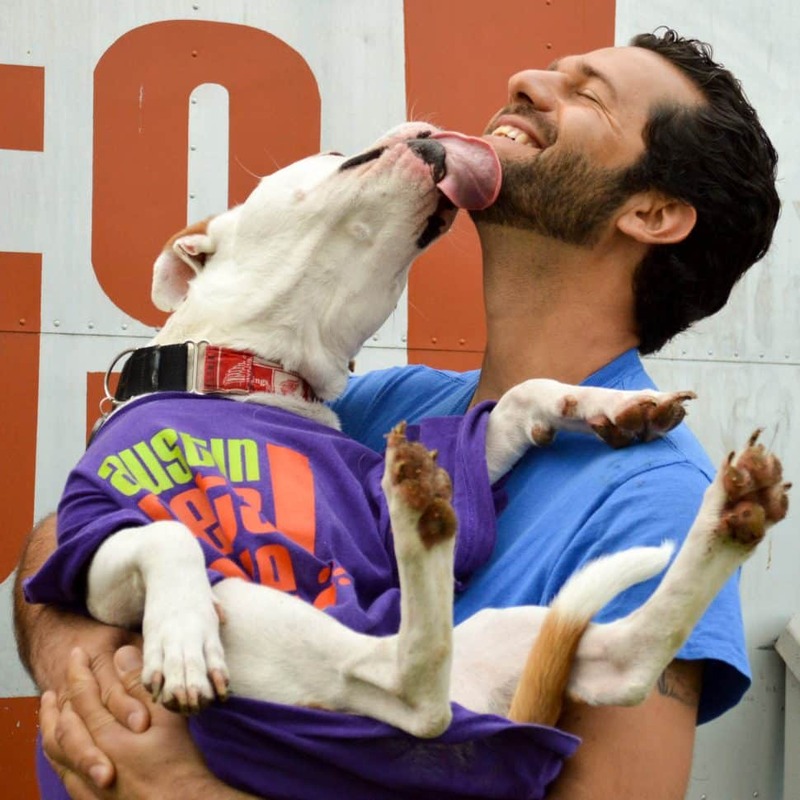 Kaviani plans to couple the registry with effective adoption techniques to be used by staff and volunteers, training them to have thorough conversations with potential adopters regarding their home dynamics, what brought them into the shelter, and what they’re looking for as a pet. Play groups and sleepovers with the animals will lend staff and volunteers familiarity with pets’ personalities, which in turn will help match people with pets. Someone who loves leisurely walks under the stars and quiet dinners may have a problem with a dog that leaps a continuous loop of couch to armchair to wall and back. Home visits, background checks and requested references from veterinarians and landlords are considered barriers to adopters. Stevens said that home checks put a burden on our already overtaxed shelter and agreed with honing staff and volunteers’ Spidey sense about who might not be at best equipped to take on the burden of a four-legged (or three-legged) family member and at worst should never be allowed to go near an animal. The Do Not Adopt registry doesn’t have a timeline as yet. Kaviani and his staff are currently working on information gathering and meeting with shelter managers. The end goal will be the compilation of a shared and shareable master list of clear, objective criteria to identify individuals presenting cruelty or safety threats to animals. It won’t be a panacea for the diseases of animal abuse and neglect. But as banal as it sounds, the grim shadow cast over OCAC by the cloud that was Valerie/Cargo’s sad death will be eased by this innovative program. GRFF members have made their own tribute for Valerie/Cargo in the form of paying her vet and cremation bills and pulling a shelter pit bull with medical issues from the shelter in her honor. They continue to stand firm in monitoring the investigation into Valerie’s death but acknowledge the value of the Do Not Adopt registry. “We are glad something positive came out of the situation,” GRFF member Jess Johnson said. If you have information about Valerie/Cargo’s case, contact ACTF Det. Al Erkelens at [email protected].